Today, I’m pleased to interview Inked Voices member and author Gail Shepherd about her debut middle grade novel The True History of Lyndie B. Hawkins, just released today, March 26th with Kathy Dawson Books, an imprint of Penguin Random House. The book has received four starred reviews and has been named a 2019 Junior Library Guild selection. 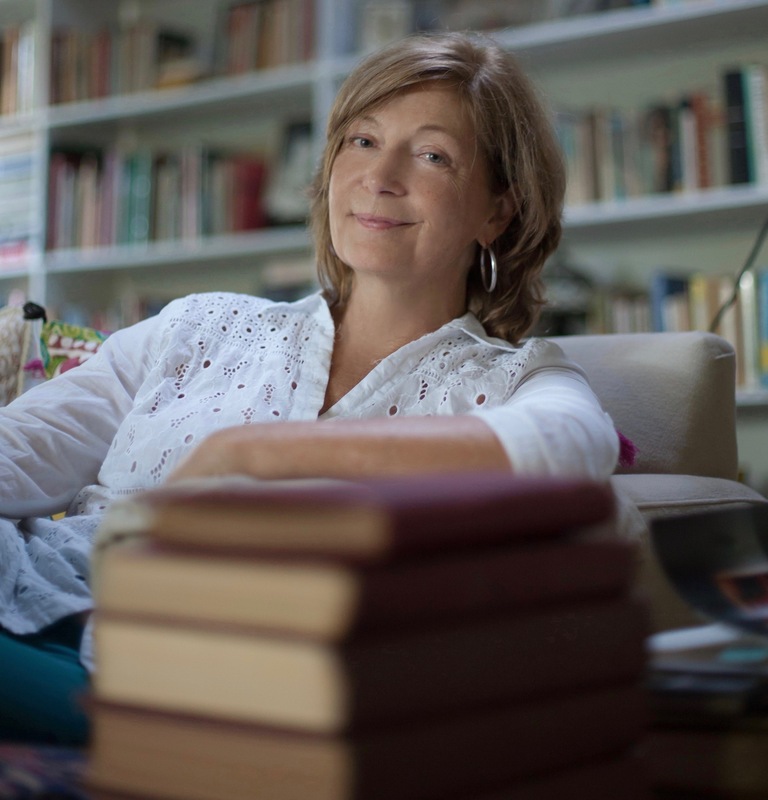 Gail talks about writing the book, her journey becoming an author, and what she’s learned along the way. 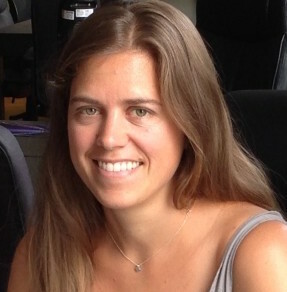 Welcome, Gail! 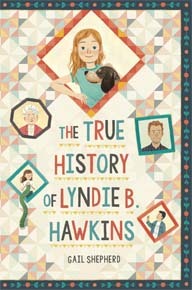 Brooke McIntyre: Congratulations on The True History of Lyndie B. Hawkins! What is the story about? Gail Shepherd: Lyndie B. Hawkins is a history loving, research-obsessed eleven-year-old who adores her daddy, but her family has basically shut her out of knowing what the heck is going on with her veteran father. He’s disturbed, he disappears for days, and her strict grandmother just wants to put a lid on it. Lyndie’s mother is basically checked out. She has no one to turn to for answers. Then DB, a boy from the local juvenile detention center comes to stay with Lyndie’s best friend, Dawn. He’s had a really rough time, but he’s infectiously optimistic. DB gives Lyndie the courage and the will to figure out what loyalty means, and to seek a deeper truth about her family’s history. BM: Where did the story idea come from? How did you know it was an idea you wanted to pursue? What drew you to Lyndie? GS: Lyndie took shape over decades. I tried writing it as a short story, as an adult novel, and finally as a middle grade. The kernel was the background of the Vietnam War, a war that shaped my own childhood sensibilities and my world view. I wanted to write about what it would be like to be a child of a disturbed veteran of that war, which was so divisive and fraught, and to run it through the lens of certain aspects of American history: our American Civil war, the Trail of Tears, and one Southern family’s struggles to come to terms with their own past. The divisiveness of current politics played a role as well, our conversations about historical representations and about what constitutes “truth”. That sounds dark and complicated. But it’s really a comic novel. The light parts of it are about forging friendships, about empathy, about resilience, about kindness. BM: In your wonderful bio, you share that you’ve held many writing jobs, including creating ad copy and newsletters, and writing newspaper articles and reviews. All the while, you’ve been working on your creative writing on the side. How have you balanced your work-for-pay writing with your creative writing? Has it ever been hard to hold onto your goal of seeing your book published? If so, how did you overcome that? GS: Wow, yes, that balance is super hard to maintain. For the past 8 or 9 years I was very disciplined about getting up at 5 a.m. to write for a couple of hours before I went to work at 9, and then working on weekends, taking long weekends away to write, and spending every dang holiday writing fiction. But after a while that schedule really started to take a toll. I was totally sleep deprived, just exhausted, and I remember a moment when I said aloud: “I can’t do this anymore.” At that point I had to ease back a bit and just take care of myself. I’m a little older than your average pre-published author. So, in some ways my ambitions were maybe not as driving. I sort of felt like, well, I really like writing. It’s interesting to me. I love the process of learning how to do it. And honestly, what else am I going to be doing in my spare time? Playing golf? So yeah, I had a goal of being published, and sooner would have been great, but I was kind of philosophical about it—when it happens it happens. BM: What parts in writing Lyndie’s story came most easily? Which parts were more difficult to get onto the page? GS: I’m a really private person and somewhat distant from my own emotions—my default when I’m hurt or in pain is jokes, and if jokes fail, anger. So the hardest part of writing this book was really getting into Lyndie’s skin and honestly feeling her pain, through her eyes, getting as deep into her character as I could, and also tapping into my own childhood wounds. I had to work and rework what I think of now as the emotional passages of the book, finding the right balance between utterly maudlin and completely stoic. The dark parts of the book were far and away hardest to write. The easy parts were the repartee between Lyndie and D.B. I just loved their relationship, I adored D.B. as a character. They made me laugh every time they got together. I loved the way they pushed each other to become better people. They made me remember the excellent things about being 12-ish and having a best friend that you loved. BM: What advice do you have for newly agented writers on submission, or preparing to go out on submission? GS: I’ve met a lot of published writers whose agented first books went out on sub but didn’t sell (mine didn’t), so it’s good to be somewhat sanguine about the process. You’re so bright and shiny and hopeful when you first land your agent—it’s a huge milestone! And tremendously exciting! But it’s only one milestone, you’ve got a lot more coming, so protect yourself emotionally. A writing career is going to be a long haul, with (hopefully) lots of highlights but also plenty of stresses and disappointments. Recognize that the wheel of fortune goes round and round. You’re on it, and it’ll be a wild ride. Be kind to yourself. BM: Your Inked Voices critique group has been running for a couple of years, and you’ve worked with other critique partners as well. What advice do you have for writers building a productive, supportive online group? GS: Honestly, I’ve heard horror stories, but I’ve never experienced anything but support from the critique partners I’ve worked with—some of them really going above and beyond any reasonable expectations when I was on a deadline. Most writers get you, because they’re going through the same stuff you are—having all the revision nightmares and moments of self-doubt, staring at the page in confusion, hardly believing you wrote this drivel (or occasionally, this brilliant paragraph!). It depends what stage you’re in—are you new, and very vulnerable? Then you need a group that will offer you tons of support. Are you an old hand with a Teflon hide? Then you want to choose partners who can really push you out of your comfort zone. Sometimes the best critiques can come when people really don’t get you in some way—when the mind of your critique partner or partners is quite different from your own, seeing things in a radically different way. That can be challenging and yield great insights, if you can stand it. Ultimately: try to work with a lot of different people over time, as your needs change. GS: You can find me at www.gailshepherdauthor.com, and on Twitter, and Facebook. You can find Lyndie’s story via Goodreads and through Penguin Random House. BM: Thanks, Gail! Gail has also written a fantastic post on deep characterization that will give you more insight into her writing process and spark ideas for your own writing.